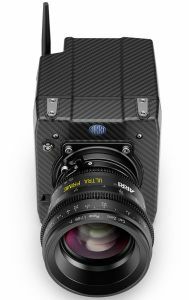 The overwhelming advantage of the ALEXA Mini is that it marries such a compact and lightweight form factor with the same unparalleled image quality that has made the ARRI ALEXA system a gold standard for the industry. Combine the Mini with any other ALEXA camera and you will have perfectly matched images, even on anamorphic productions thanks to the 4:3 sensor and automatic de-squeeze function. Workflows will also be identical, with options to record ProRes or uncompressed ARRIRAW either in-camera to CFast 2.0 cards or to specially designed external recorders.